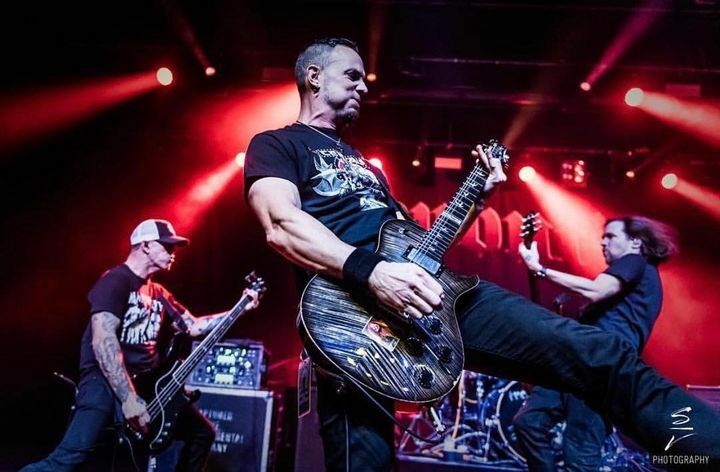 Track to know when Mark Tremonti is playing near you. Tremonster brings it!! He is truly one of the greats! Work ethic and dedication to his craft is unmatched. Now a novelist, first book was great...looking forward to the next one. Tremonti Rocks!!! One of the most talented guitarists of our time, he puts on a great show and his newest album is amazing! His best yet! I need more stars! They were phenomenal. Such an amazing group of artists and genuinely nice gentlemen to boot. Tanner Keegan is just explosive on stage. Ryan Bennett just killed it on drums. I was so close could feel the drumbeats pounding my chest. Eric Friedman has this smooth old school way of making his guitar scream then he fires like a bullet from a gun, he and Tanner both have fabulous vocals to complement Mark and raise the bar even higher. Mark Tremonti...what can I say he is just raw power on the guitar. His vocals continue to grow, amaze and hypnotize. His range is expanding. It can be so soft and sultry then rough, edgy & growl your face off. If you can catch them do it! You won't be sorry! Amazing. Full of energy. Even got to have the guys sign my shirt after their set. And they let me take a selfie with them. The fellas killed it as usual! Great to finally see them team up with Sevendust. Two powerhouses and personal favorites going at it together! Awesome show and great tour! What an unforgettable night! The venue is awesome in general, and Tremonti sounded incredible live. And to have all the guys stop by the merch table, even as big as they are, was really cool.